The new exciting range of Spider Bags have arrived and are selling fast. Although the bags are very competitivley priced we have not compromised on the quality. All the bags are reinforced and we made sure we used the best materials available. The new imac bag comes in several sizes to suit all the imac range. There are 3 sizes of Pedalboard bag with a pedalboard and velcro supplied. 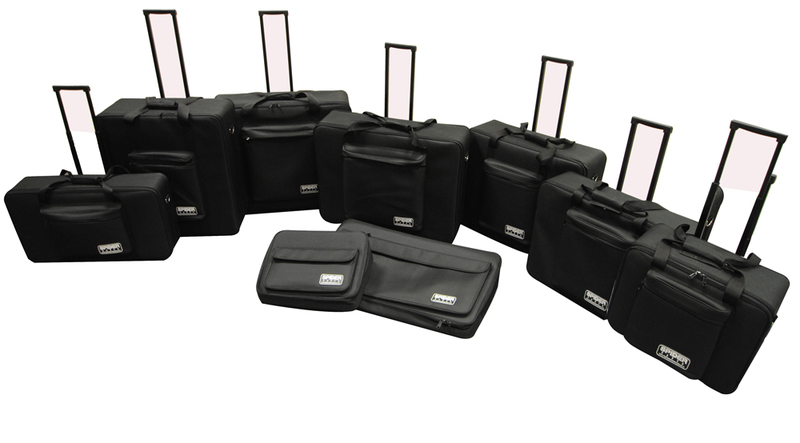 Projector bags will fit a whole host of projectors and the Utility range can be used for 100's of applications. So if it is a bag you are looking for with a competitive price and supreme quality... then look no further.